This year has seen the birth of the first three-person baby, a dangerous Zika epidemic and a huge injustice overturned by medical science. There were also breakthroughs in a range of deadly diseases. 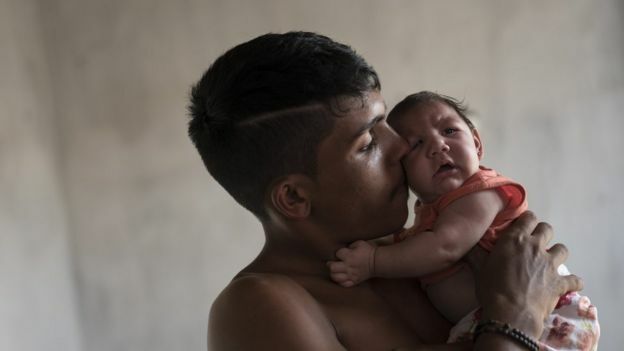 A year ago hardly anyone had heard of Zika virus. Now the birth of babies with underdeveloped brains – known as microcephaly – is all too familiar. The World Health Organization declared the disease, which is spread by mosquitoes, a public health emergency. The concern was initially centred on Brazil, but the infection has spread to 75 countries and territories. Huge effort has been put into controlling the mosquito, but there remains no drug or vaccine for the disease. The first baby conceived using a new method to combine material from two women and one man was born in Mexico. The baby boy has a tiny section of DNA – about 0.1% of the total – from the second woman in order to prevent “mitochondrial disease” being passed from mother to child. Meanwhile the UK – which pioneered the advanced form of IVF – has given the procedure the go-ahead and 30 babies a year are expected to be born in the country. The transformation in Clara is amazing. She has cystic fibrosis which leads to her producing really thick mucus that clogs and damages in her lungs. Only half of patients with the disease make it into their 40s, but a new drug called Orkambi corrects the underlying genetic defect that causes cystic fibrosis. Clara was on a trial of the drug and says her life has been transformed. Sarah sees things that aren’t there: “I hallucinated that my body has morphed spiders’ legs or rabbit ears, I’ve seen them there, I’ve felt them there,” she said. But doctors have discovered that the cause of her disease is a rogue immune system that is attacking a part of her brain. It’s part of the rapidly emerging field of immunopsychiatry – that the immune system causes mental health disorders. She was treated with drugs to suppress the immune system and even had her blood filtered to remove the “rogue” components. There are even suggestions the immune system is involved in depression. 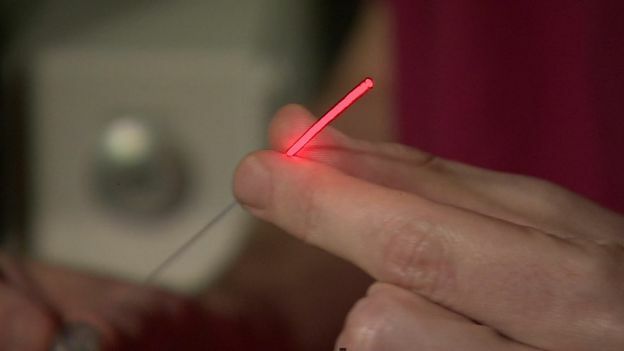 Surgeons say this laser could be “truly transformative” in the treatment of early stage prostate cancer. Men currently have the choice of letting the cancer grow or risking impotence and incontinence by having surgery to remove a tumour. Now drug has been made from bacteria that live in near-total darkness and becomes toxic only when exposed to light. Its injected into the prostate. Then ten lasers are inserted into the tumour to activate the drug. It kills the cancer, while preserving the rest of the prostate and has no side effects in clinical trials. One of the most demonised patients in history – Gaetan Dugas – was convincingly cleared of claims he spread HIV to the US by scientists. Mr Dugas was a homosexual flight attendant and gained legendary status in the history of HIV/Aids when he became known as “Patient Zero”. But a study showed he was just one of thousands of infected people in the 1970s and that New York was a crucial hub for the spread of the virus. The Air Canada employee was labelled Patient O (the letter, not the number) by the US Centres for Disease Control because he was a case “Out-of-California”. Over time the O became a 0 and the term Patient Zero was born. It is still used to this day to describe the first identified case of an outbreak. 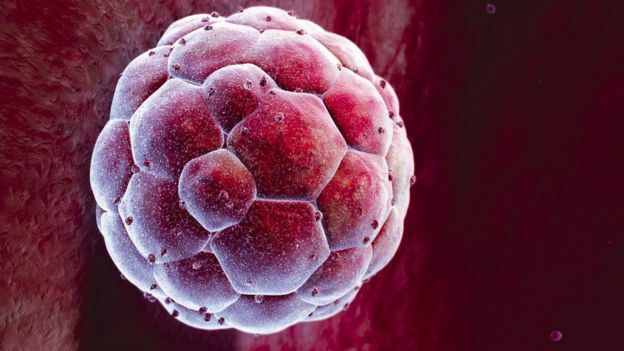 Scientists say have grown embryos in the laboratory for longer than ever before and have now reached the legal 14-day limit. It’s the first time embryos have been grown past the point they would normally implant in the womb. The researchers believe studying the embryos will improve fertility treatments and revolutionise knowledge of the earliest stages of human life. Some scientists have now called for the legal limit to be increased. Doctors have used sound waves to successfully operate deep inside the brain with no scalpels in sight. They treated a man from Cornwall who suffered from uncontrollable tremors in his right hand. Selwyn Lucas, who is 52, can now hold his hand steady and said he felt “fantastic”. The team at St Mary’s hospital in London used focused ultrasound guided by an MRI scanner to destroy tissue causing the tremor. The unbelievable phenomenon in 2014 that was the Ice Bucket Challenge actually led to an important scientific discovery. 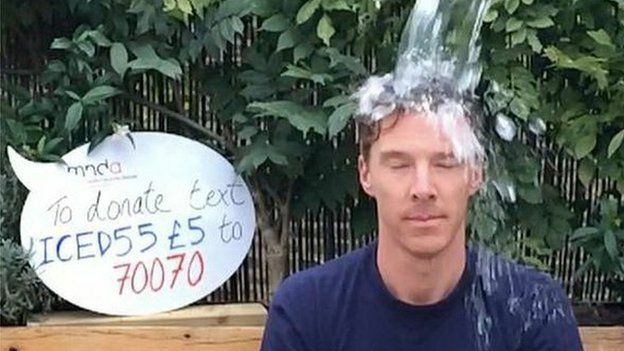 The viral videos of people pouring ice-cold water over themselves raised $115m (£87.7m) for the ALS Association, set up to raise funds for research into a form of motor neurone disease called amyotrophic lateral sclerosis. Research funded by the Ice Bucket Challenge uncovered a new gene – called NEK1 – that contributes to the disease. Scientists claim to have developed an invisible elastic film that can be applied to the skin to reduce the appearance of wrinkles and eye bags. Scientists say they have made a leap in knowing why some people retain their youthful looks while others age badly – and the answer is in the ginger gene. Morning flu jabs provoke a stronger immune response than those given in the afternoon. Human life spans may be limited to a maximum of about 115 years. Early trial data shows a drug developed using artificial intelligence can slow the growth of cancer in clinical trials. Custom-made, living body parts have been 3D-printed in a what could be a significant advance for regenerative medicine.